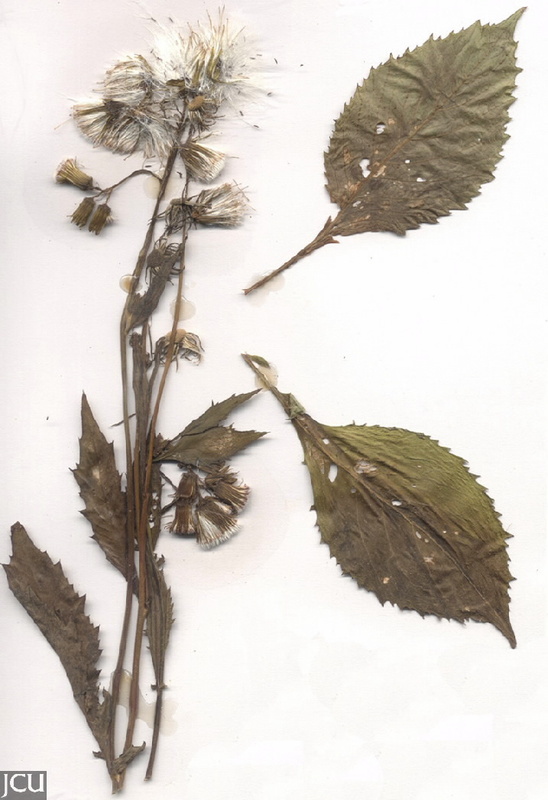 Plants with alternate, deeply lobed leaves, to 20 x 10 cm. Florets in heads initially drooping or nodding, reddish. Pappus 8-10 mm long, white tinged with red or mauve, achene about 2 mm long.